Capitalism, Politics, Economy, Business and Labor in Modern American history. Smith has taught courses on modern American history, the Great Depression, and the history of capitalism since joining the faculty in 2006. He is the author of Building New Deal Liberalism: The Political Economy of Public Works, 1933-1956 and A Concise History of the New Deal, both published by Cambridge University Press. A specialist in the history of capitalism and political economy, Smith’s research and teaching range from the nineteenth century through the global financial crisis of 2008. 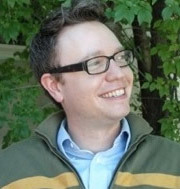 Before coming to UNM, he held fellowships at the Harvard Business School, where he was the Harvard-Newcomen Postdoctoral Fellow in Business History, and at Cornell University, where he served for two years as a Mellon Postdoctoral Fellow in American Studies and visiting assistant professor of history and government. In 2017, Smith received a Fulbright U.S. Scholar Award and was named the Mary Ball Washington Chair in American History at University College Dublin, Ireland. He completed his Ph.D. at the University of California, Berkeley. “Beyond the New Deal: Thomas K. McCraw and the Political Economy of Capitalism” (written with Richard R. John), in Richard R. John and Kim Phillips-Fein, eds., Capital Gains: Business and Politics in Twentieth-Century America (Philadelphia: University of Pennsylvania Press, 2016), 95-116. “The New Deal as a Democratic Project: The Great Depression and the United States,” translated by Jürgen Bauer and Edith Nerke as “Der New Deal als demokratisches Projekt: Die Weltwirtschaftskrise und die Vereinigten Staaten,” in Tim B. Müller and Adam Tooze, eds., Normalität und Fragilität: Demokratie nach dem Ersten Weltkrieg (Hamburg: Hamburger Edition, 2015), 496-511. “The Great Transformation: The State and the Market in the Postwar World,” in James T. Sparrow, William J. Novak, and Stephen W. Sawyer, eds., Boundaries of the State in US History (Chicago: University of Chicago Press, 2015), 127-151. “The Liberal Invention of the Multinational Corporation: David Lilienthal and Postwar Capitalism,” in Kim Phillips-Fein and Julian E. Zelizer, eds., What’s Good for Business: Business and Politics since World War II (Oxford: Oxford University Press, 2012), 107-122. A New Deal, Part II? FDR’s Revolution Offers a Guide for Today. In USA Today, October 3, 2005, page 15A.